We support the advance of Science and Education through research, development, and innovation. Our Projects Contact us now! The Institute of Biotechnology and Molecular Medicine (IBMM) is an independent research institution that creates an elite center in biomedical research. IBMM's activity focuses on the implementation of integrative and innovative research. This goal is achieved by obtaining financing and developing international cooperation networks. The scope of the Institute's scientific activity includes biotechnology, medicine, diagnostics and molecular biology. However, the interdisciplinary character of many IBMM projects means that they are often participated by non-mainstream researchers in biomedical sciences. What's more, IBMM is actively involved in the transfer of technology and the development of projects with high commercial potential. Through a network of local and international partners, fast technology transfer is achieved to effectively create spin-off ventures. The goal of IBMM is to support the advance of science and education through research, development, and innovation. The aims and form of the Fundations operation. Entrepreneur and scientist, Manager of Innovation (GFKM), happy husband and father of two children. A graduate of the Faculty of Chemistry of the Gdańsk University of Technology and the Intercollegiate Faculty of Biotechnology of UG-MUG. He has over ten years of experience in planning, running and commercializing the results of basic and applied research in the biomedical sector. Co-author of patents and scientific articles on an international scale. Associate Professor, Eng. Robert Bogdanowicz works in the Department of Metrology and Optoelectronics, ETI PG Faculty (from 2000), building electronic nanodevices constructed of doped semiconductor thin-layer diamond. Tadeusz Ossowski is a full professor at the Department of Analytical Chemistry of the University of Gdańsk.He has experience in the synthesis and separation of organic compounds. The leader of Goldratt Institute (Israel) and the president of his executive arm, Question Mark Ltd., leads the activities aimed at establishing the Limitation Theory (TOC) as a management standard all over the world, but especially in Israel and Poland. Dr. Alex Klarman is an international expert in the field of critical chain management. Doctor, entrepreneur, enthusiast. MD Ph.D. Robert Krzysztof Jarema has many years of experience in the field of urology, oncology, and general surgery. Doctor of biotechnology at the Faculty of Biotechnology of the University of Wrocław.She completed the "Technology Broker" course at the School of Banking in Wroclaw, as well as postgraduate studies at the Jagiellonian University on two faculties: Industrial Pharmacy and Intellectual Property Law. A graduate of the Faculty of Electronics at the Wrocław University of Technology, majoring in IT. Doctor of technical sciences in the field of electronics at the Faculty of Electronics of Microsystems and Photonics. Dr Eng. Łukasz Janus, biotechnologist, graduate of the University of Life Sciences and the Adam Mickiewicz University in Poznań. Doctoral thesis defended in 2012 in the discipline of biotechnology in the field of plant biotechnology. Tomasz Gondek has over 16 years of professional experience and cooperates with the Innovation Consulting Deloitte team, where it uses its expertise, among other things, collaborating with public research and development centers. The goal of IBMM is to support the development of science and education through research, development, and innovation. We invite you to cooperate with all who want to work in their team, on their projects. We offer laboratory, administrative and logistic facilities. We provide flexible forms of cooperation but, above all, a new quality in managing and developing innovative projects. If you have any idea for research, product or dissemination project, please contact us. IBMM was again appreciated by The National Centre for Research and Development! IBMM was again appreciated by The National Centre for Research and Development! From the European Regional Development Fund, together with UroScan Ltd., we received a grant of over PLN 8 million to develop a fast and non-invasive BladderDx diagnostic test for the early diagnosis of bladder cancer. Comprehensive work will last until 2021 and will result in the implementation of a test that will support doctors not only in the diagnosis of bladder cancer but also in the study of treatment progress and recurrence of the disease. This is another IBMM’s grant, thanks to which we are increasingly expanding our research portfolio. We are constantly inviting ambitious scientists to cooperate and to jointly implement projects. If you want to implement your own project, do not hesitate and contact us! The innovative project QUNNA „Nanosensorics and imaging utilizing quantum effects – the synergy of glass and diamond for applications in the new generation of biodiagnostics” has been awarded funding (4.3 mln EUR) in a prestigious TEAM-NET call organized by the Foundation for Polish Science (2nd rank on the list). The project will be carried out by a consortium of University of Warsaw, Jagiellonian University of Cracow, Gdańsk University of Technology PolitechnikaGda and Institute of Biotechnology and Molecular Medicine (IBMM). Within the 4 year-long project, scientists will explore new materials, components and photonic systems displaying specific magnetic and optical properties. The resulting optoelectronic solutions will be introduced to the market in order to advance diagnostics of neurodegenerative diseases and cancer, among others. The aim of the first edition of the TEAM-NET program organized by the Foundation for Polish Science is to enable far-reaching projects carried out by a network of cooperating research teams managed by outstanding scientists. Only 5 out of 39 submitted projects were approved by a panel of distinguished experts. The ability to participate in such an ambitious project is a great honor for IBMM. Joining the community of the best scientific institutions in Poland will allow us to continue our dynamic growth based on the highest level of research and development activities. One of the winners of the NCBiR competition "Modern material technologies" - TECHMATSTRATEG is the Institute of Biotechnology and Molecular Medicine in Gdańsk (IBMM), which joined the scientific consortium with the leader: The Institute of Ceramics and Building Materials and the University of Gdańsk, Wrocław University of Technology and SensDx SA. The consortium received PLN 6.92 million for the implementation of the project entitled "Multifunctional composite material with antimicrobial and pro-regenerative properties for the reconstruction of bone tissue GlassPoPep". The project concerns the creation of a multifunctional composite material with antimicrobial and pro-regenerative properties for the reconstruction of the bone tissues. The production of such biomaterial will significantly accelerate the treatment process and eliminate many postoperative complications. For IBMM it is the first project from the TECHMATSTRATEG group and thanks to that we have become a member of an elite scientific group in the country. IBMM tasks will include work on new materials. We congratulate all the winners! Another project from the National Center for Research and Development for the Institute of Biotechnology and Molecular Medicine in Gdańsk! IBMM in a consortium with SensDx S.A received funding for research and development on an innovative, fast and cheap test to detect Streptococcus pyogenes and pneumoniae with the identification of antibiotic resistance genes. The project concerns the development and implementation to the market of Point of Care devices for the rapid identification of Streptococcus pyogenes and Streptococcus pneumoniae with the identification of antibiotic resistance genes. The total co-financing amount is over PLN 7 million! Congratulations and we wish you continued success! We are pleased to inform you that the Institute of Biotechnology and Molecular Medicine in Gdańsk in cooperation with SensDx S.A. received funding from the National Center for Research and Development for the implementation of the EquineDx project - a quick test for the detection of pathogens in horses. The subject of the project is the development and implementation of a rapid test for the diagnosis of infections with viruses and bacteria in horses, i.e. S. equi, herpesviruses EHV-1 and EHV-2 and viruses of arteritis. The total amount of funding is over PLN 6 million! Congratulations and we wish you continued success! We are very pleased to inform you that the Institute of Biotechnology and Molecular Medicine is the publisher of the scientific journal Applied Biosciences (ISSN 2545-2215). It is a journal publishing the latest scientific reports from the fields of basic and applied research in the English language. The magazine has their own DOI prefix and follows the COPE’s Ethical Guidelines. We invite you to publish! The Institute of Biotechnology and Molecular Medicine together with BIOLUMO will work on an innovative method of testing antibiotic resistance in veterinary medicine. The consortium obtained funding from the National Center for Research and Development in the amount of nearly PLN 10 million for this purpose. We congratulate the design team. We are delighted to inform you that the project implemented by the Institute of Biotechnology and Molecular Medicine in cooperation with WDtech obtained funding from the National Center for Research and Development for the development and implementation of an innovative solution for athletes. The value of the project is nearly 10 million PLN. We congratulate the design team. 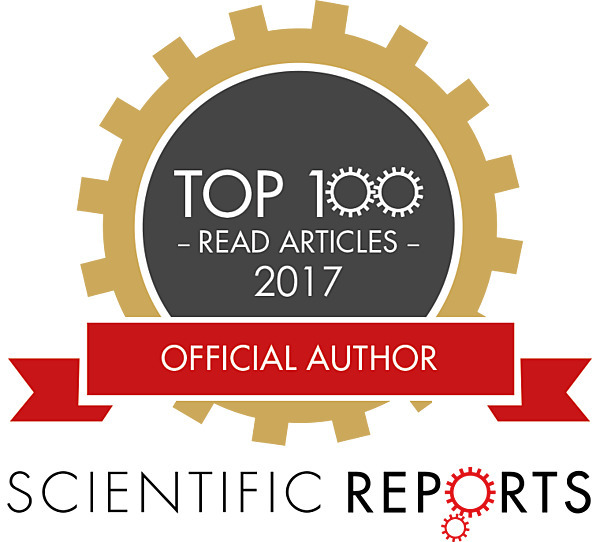 We are pleased to announce that the publication of our employees in cooperation with SensDx was among the top 100 in 2017 despite its release in November. We are pleased to inform you that the results of research carried out in an interdisciplinary team have been published in the prestigious journal Scientific Reports. Properties of spores Bacillus Subtilis - another publication with the participation of our employees. Global telemedicine is growing at a dizzying pace - over a dozen percent annually. – over a dozen percent annually. Institute of Biotechnology and Molecular Medicine (IBMM) - Copyright © 2018. Laureate of VENTURES FNP programs (VENTURES / 2010-5 / 6), IMPULS FNP (competition 1/2014) of the LIDER National Centre of Research and Development program (LIDER / 016/489 / L-4/12 / NCBiR / 2013) and SME Instruments (FLUSENSOR - innovative, ultrasensitive, fast and cheap micro-test to detect influenza virus. SME Instrument No. : 729737). Currently leading six research and implementation projects (RPO Mazowieckie, Szybka Ścieżka, TechMatStrateg, 4.1.4, Sonata Bis, LIDER). The biosensor developed by him (FLUSENSOR) will allow detection of influenza viruses in the swab from the throat of the patient, recognizing the characteristic of each influenza virus protein. He also works on an edible vaccine against the influenza virus for poultry (LIDER). Winner of many prizes and scholarships. Co-author of over a dozen publications, over 30 congress reports, and 13 patent applications. Dr. Dawid Nidzworski is an activist in an academic environment. Co-owner of several companies from the consulting, cosmetics, diagnostics, nanotechnology and biotechnology sectors. NCBiR expert, an expert in the AlfaBeat accelerator. Involved in the promotion and development of the biotechnology industry in Poland and technology transfer. Dr. Eng. Dawid Nizdzworski is actively supporting the popularization of science. START FNP Scholarship, Ambassador of the Ministry of Science and Higher Education program. He was on a 12-month post-doc scholarship at the Faculty of Physics of the University of Greifswald (Germany) where he worked in the team of prof. Rainer Hippler. Robert Bogdanowicz dealt with issues in the field of ellipsometric thin film measurements, optical plasma diagnostics, and magnetron sputtering processes. Also, it has an IPMA (D) manager certificate. He was elected to participate in the first edition of the Top 500 Innovators program (Stanford University). His inventions were awarded a gold medal at the Archimedes 2014 in Moscow and Innova 2014 in Brussels. He is the head of the NCBiR, NCN and NATO grants. He received a 9-month Senior Fulbright Scholar Program scholarship at the California Institute of Technology (Caltech) in the group of prof. William A. Goddard. Tadeusz Ossowski is a full professor at the Department of Analytical Chemistry of the University of Gdańsk. He has experience in the synthesis and separation of organic compounds, among others: Schiff bases, ethers, chromophores and fluorophores for diagnostic applications, amino acids, and peptides, functionalized supramolecular structures. Experience in spectroscopy, electrochemistry, determination of thermodynamic and kinetic parameters, also on surfaces, studies of interactions of chemical compounds in solutions of surface functionalization in the organic and inorganic analysis. Professor Tadeusz Ossowkis is a participant of the numerous research projects, co-author of several dozen publications and patent applications. Dr. Klarman began his professional career as a scientist (Ph.D. in biochemistry and biophysics at the Tel Aviv University) and lecturer (at the Tel-Aviv University and the Pedagogy State Academy in Tel-Aviv). During 12 years of research, he gained experience in scientific work and learned the basics of cooperation between public and research institutions in Israel and the world. He correlated research practice in the industrial world - for four years he was responsible for project and production management in an industrial company. It gave him a unique and broad perspective on management problems - from training to production and projects, logistics, planning, to material management and marketing-sales strategy. He then established the belief that the use of TOC methods is necessary for effective organizational management and better inter-organizational and interpersonal interactions. Works of Dr. Klarman included the development of educational materials and simulators used in various fields of managerial education, as well as implementation work using TOC in leading global corporations, including in Ford, Philips, Intel, Tevie, Microsoft and the Israeli aerospace industry. Dr. Klarman is one of the few people in the world (and the only one active on the Israeli market), licensed to teach and apply all vital TOC management tools. He is the author (together with Richard Klapholz) of books devoted to the use of TOC processes in various areas of organizational activity, such as building a company, developing sales forces or managing customer service. The Cash Machine and Release, the Hostages. His current activities, in cooperation with other TOC experts, focus on the use of TOC methods in various areas of management, to obtain a holistic way of applying TOC in the whole organization. Privately, the happy husband of Dr. Uki Maroshek-Klarman and the proud father of four sons. He lives in Herzliya (Herzliya) in Israel. Doctor, entrepreneur, enthusiast. MD Ph.D. Robert Krzysztof Jarema has many years of experience in the field of urology, oncology, and general surgery. Knowledge gained, among others in the Department of Urology and Urology of Oncology of the Central Clinical Hospital of the Ministry of Interior in Warsaw, the Military Medical Institute in Warsaw and numerous internships at the Institut Mutualise Montsouris in Paris, Beijing Hospital in Beijing, North - Western University of Chicago and the University of Cambridge. The founder of several companies with medical services. Co-author of several patent applications, numerous publications, and congress reports. Doctor of biotechnology at the Faculty of Biotechnology of the University of Wrocław. She completed the "Technology Broker" course at the School of Banking in Wroclaw, as well as postgraduate studies at the Jagiellonian University on two faculties: Industrial Pharmacy and Intellectual Property Law.Has many years of experience in actively acquiring clients, reporting on the patentability of inventions and market potential of new projects and designs, as well as cooperation with startup companies in the field of technology commercialization, especially in the field of biotechnology. Member of the 14th working group (Sensory (including biosensors) and intelligent sensor networks) of the National Intelligent Specialties, appointed by the Ministry of Development of the Republic of Poland. An expert in the field of licensing, sale of IP rights, the establishment of companies, patent protection and valuation of intellectual property, protection of copyright, industrial property rights, as well as regulation to combat unfair competition. A graduate of the Faculty of Electronics at the Wrocław University of Technology, majoring in IT. Doctor of technical sciences in the field of electronics at the Faculty of Electronics of Microsystems and Photonics.Academic lecturer, author, and tutor of courses in the field of embedded systems, battery-free and wireless systems, object-oriented programming and computer networks. Dr. Eng. Krzysztof Urbański is the promoter of several dozen engineering and master's theses as well as two doctorates. Contractor and co-founder of domestic and European scientific and research projects, as well as implementations in industry. Dr Eng. Łukasz Janus is passionate about the application of new technologies in biotechnology and medical and cosmetic chemistry. Co-author of three publications in international journals (IF 11.7) and 12 announcements. In 2012-2016 he co-founded nine technological companies from the biotechnology-medical and cosmetics industry. Of the entities mentioned above, five acquired industry investors, 5 completed research and development for individual products and completed the registration process, receiving the product ready for sale. Co-author of patents in the national and international procedure with the numbers P407950, PCT / IB2015 / 052915, WO / 2015/162560. In 2009-2016 he participated in 7 grant projects, of which he was the manager in 5 (including the NCBiR Strategmed project in rehabilitation medicine, the NCBiR POIG 1.4 project, the NCBiR project 3.1 OPIE). Laureate of four competitions in the field of commercialization of scientific products and three prizes at biotechnology conferences. One of the scientific and application achievements is the creation of unique hydrogel carriers for third generation hydrogel dressings (commercialized at MedVentures Sp. O.o.) and a matrix for the release of peptides in a preparation counteracting herpes symptoms (commercialized in Magisk Sp. O.o.). For achievements in the field of combining scientific work with the effective commercialization of scientific research Dr. Eng. Łukasz Janus was nominated for the title of Man of the Year 2012. Tomasz Gondek has over 16 years of professional experience and cooperates with the Innovation Consulting Deloitte team, where it uses its expertise.He managed the most significant Polish infrastructure and research and development project of the EU 2007-2013 perspective worth over PLN 800 million.He participated in investing in investment projects in such companies as IBM, Google, HP, 3M, Credit Suisse, Dolby, Volvo, Bank of New York Mellon, Nokia Siemens Networks, LG. •	Co-creates and leads of new regional development programs (Dolnośląskie Voivodeship). In the company Eton Group, he manages projects Flusensor, Multisensor and Impact Poland. An entrepreneur with rich investment experience, a graduate of the Poznan University of Technology at the Faculty of Mechanical Engineering and Management. A graduate of the University of Minnesota (USA), where he obtained an MBA degree. Founder of numerous enterprises operating in various sectors such as construction, chemical industry, IT, renewable energy sources. He has extensive experience in areas related to creating investment plans, improving financial management, process optimization, sales and marketing management, development of incentive systems, development of automated control tools. Responsible for implementing the investment project entitled "Development and implementation of industrial and utility designs in the DROG-BRUK company" worth PLN 10.5 million. He manages R&D project at Saule connected with obtaining the world's first ultra-thin photovoltaic cell based on perovskites printed on the electronic inkjet basis with a value of 34 million. Specialist actively involved in the implementation of projects undertaken by Edge One Solutions (IT industry), Giełda Kaliska Ltd, AC Lis Ltd (automotive sector), Ekologis S.C. (environmental laboratory), Acidum Ltd (a company operating in the field of recovery of hydrochloric acid). Author of several patent applications. 3) Detailed conditions for the implementation of the above objectives are set out in the Foundation's internal regulations. 4) To achieve its goals, the Foundation may support the activities of other people and institutions in line with its objectives. 5) To carry out its tasks, the Foundation may cooperate with state institutions and bodies, local government units, economic entities, non-governmental organizations, natural persons, and bring together people of good will and right goals of the Foundation.